PG Electrics is a local, professional and reliable domestic electrician in Cwmbran specialising in residential installations. Phil Graham set up PG Electrics in 2009 and we are based in Cwmbran, Torfaen. We cover Cwmbran, Abergavenny, Raglan and surrounding areas. We never turn down a job be it a faulty light switch all the way to a full re-wire. For the last 5 years we have been involved with renewable energy and installing solar pv and battery storage systems. Recently we have been installing electric vehicle charging points and PG Electrics is an OLEV approved installer for Rolec, EO charging and myenergi. 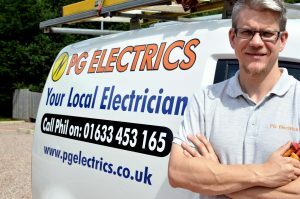 Phil and the rest of the team at PG Electrics offer a professional service that is competitively-priced and completely reliable. Our tidy working practices minimise disruption, while flexible arrangements enable the team to work around the client’s schedule. At PG Electrics, we understand the needs of our customers, most of whom are domestic clients or business-owners. Much of our work comes either from regular customers or as a result of word-of-mouth recommendations. Our testimonials page contains a selection of testimonials from customers we’ve had the pleasure of working for. Whatever the nature of the electrical service you require, you can rely on PG Electrics to get the job done safely, on time and in a compliant manner. 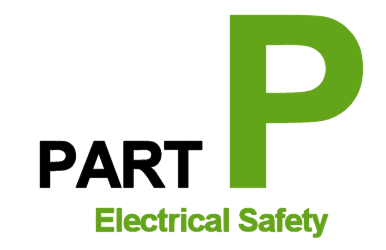 As fully-insured, ‘Part P’ compliant electrical contractors, we are also able to offer a six-year warranty on all electrical work. Phil studied HNC in General Engineering at Crosskeys College and completed an MA at Sogefi Filtration Ltd as a multi-skilled maintenance technician. He then worked as a security engineer for Tod Security for 2 years, before setting up PG Electrics in 2009 and gaining the City and Guilds 2382 BS 7671 17th edition wiring regulations. He is also registered as a Part P approved electrician with Elecsa.